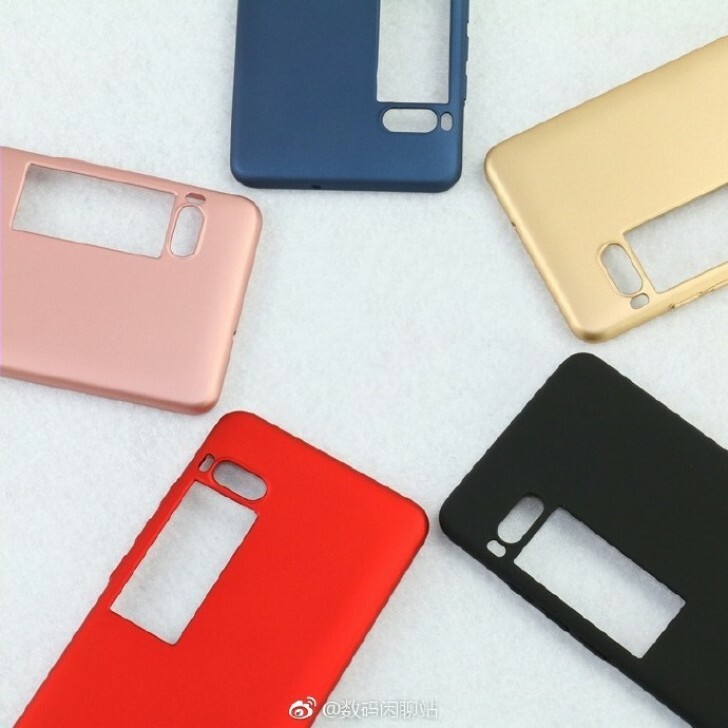 Meizu is definitely cooking something big for its next "Pro" line release. The full picture still eludes us, but most leaks hint at a Pro 7 and Pro 7 Plus handset announcement at the end of this month. 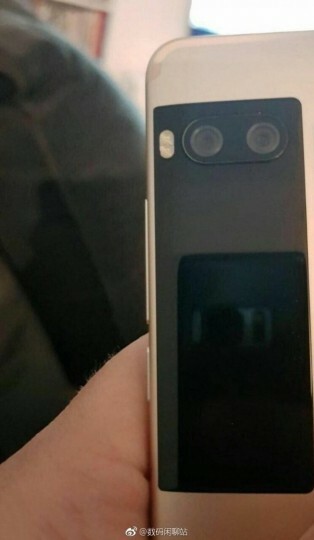 We are also fairly certain that the signature feature of the smartphone pair will be a small secondary display, positioned underneath the dual camera setup on the back panel. 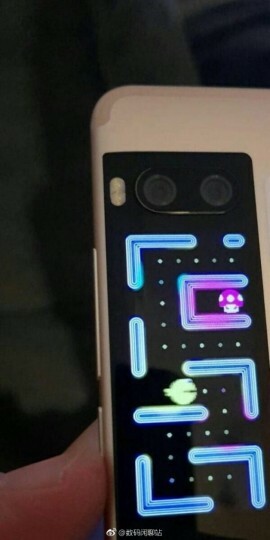 A few new photos surfaced today on Weibo that appear to showcase said screen in detail. One of them has it running and displaying color, which means it's an LCD unit. This is a rather odd development, since previous reports pointed to an e-ink module, providing a convenient and battery-efficient access to notifications and other widgets with small bits of information. The use of the small screen as a viewfinder for rear-camera selfies is really cool. But the lack of an OLED panel (for better battery life, especially if it's an Always On Display) and the Mediatek chipset is a huge turn-off. Would love to see a black version with this.